Danazol Capsule is used in women to treat infertility due to a certain uterus disorder or endometriosis and pelvic pain. This may also be used to treat breast pain/nodules/tenderness due to a certain breast condition (fibrocystic breast disease). This is also used in both men and women to prevent swelling of the arms/abdomen/face/legs/airway. It is due to a certain congenital disease called hereditary angioedema. How does Danazol Capsule work? Danazol Capsule is an androgen similar to testosterone. For the treatment of endometriosis and fibrocystic breast disease, it works by lessening the number of hormones made by the ovaries. These hormones typically make the conditions worse. For the treatment of angioedema, Danazol helps to increase the total of a certain protein in your body’s defense system (immune system). Danazol Capsule is a synthetic steroid derived from ethisterone. This medication belongs to the group of drugs called androgens. 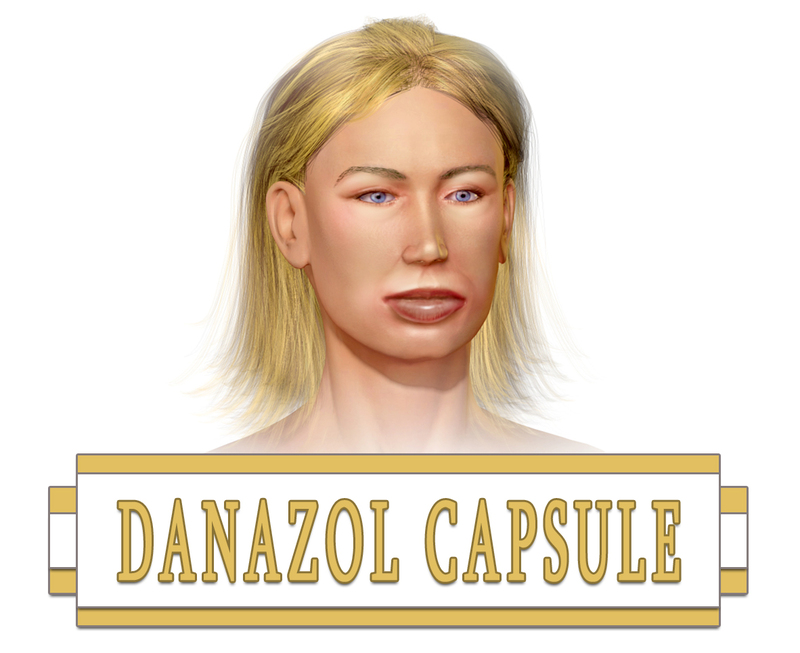 Each capsule of Danazol has 50mg, 100mg, and 200mg for oral administration. This has been approved by the Food and Drug Administration (FDA). Danazol Capsule is a man-made form of steroid. This affects the ovaries and pituitary gland. This also prevents the release of certain hormones in the body. How to use Danazol Capsule? Take Danazol Capsule by mouth, usually twice a day. You may take it with or without food. Take it the same way with every dose and at the same time each day. Use this medication exactly as directed by your doctor. Do not change the prescribed dosage to avoid some complications. What are the side-effects of Danazol Capsule? This medication is not prescribed for pregnant women. If you are breastfeeding women, consult your doctor first before taking this drug. Let your doctor know if you have any allergies, current treatments or medical history. You should not use this if you have kidney disease, liver disease, or a history of stroke or blood clot. Stop using this and call for medical help if there is an allergic reaction or overdose.